You're retired, but maybe you still want to keep a hand in your old business. Or maybe you love consulting, or you want some extra cash, or you don't like having too much idle time on your hands. 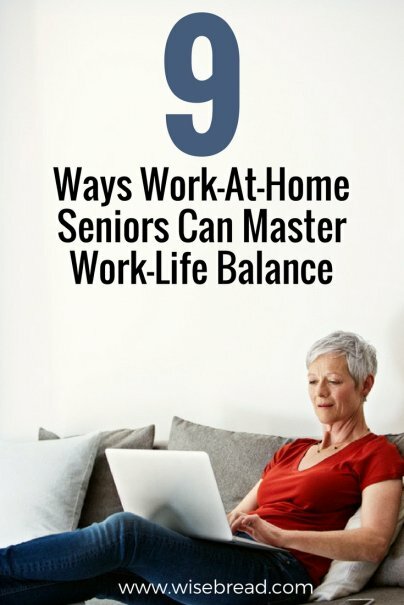 No matter the reason, working from home can be a great way for retirees to earn an income without being subject to the daily commute and grind of a traditional 9-to-5. Remote work can be highly rewarding and even fun. Here are some ways to keep your work-life balance while working from home in retirement. One of the great benefits of retiring is being able to do what you want, when you want. Don't lose that completely by ending up with a rigid work schedule. Sure, you'll need to be there for your new employers or clients some of the time, but make sure you have the flexibility to take time off for the things that matter most to you. It may be tempting to jump right into a new job. However, working from home is different from going to work at a company. If you've never done it before, it can be overwhelming at first to be self-directed and spend so much time alone. If you think you want to work from home, start by taking on a project or two, or working a few hours a week. If you like it and can still do all of the other things that you want to do with your retirement, you can look for a more permanent gig. Whether you're old or young, it's easy to get sucked into the internet. You may find yourself surfing Facebook for pictures of your grandchildren, looking up decorating ideas on Pinterest, or getting lost in a sea of YouTube videos. Time spent online is often little more than a distraction. Ultimately, it isn't very satisfying, and it often takes you away from the things you really want or need to be doing. Limit your time online, especially when you're away from work, so you can really engage with the people and the experiences around you. If you're glued to your desk all day, you probably won't be enjoying your retirement to its fullest. Some retirees enter retirement with the intention to travel. You can still do this while working from home. Make sure you get your vacations on the calendar early so your employer knows when you won't be available. This helps ensure that you'll have the free time you need to fully embrace your travel, even if you have to get right back to work when you get home. When you're on the clock, make sure you stay moving. Get up every hour and take a short walk, even if it's just down the hall and back. This not only fights the dangers of a sedentary lifestyle, but it also helps you stay focused.